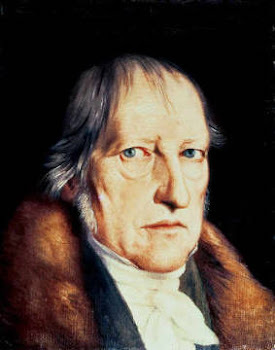 The philosophy of Georg Wilhelm Friedrich Hegel (1770-1831) is a landmark interpretation of the intertwinings of cognition, secular history and piety. This blog examines Hegelian ideas and their international reception, including in Scotland starting with James Hutchison Stirling's The Secret of Hegel (1865) and the works of Edward Caird. It reflects the contributor's own studies, which are partly biographical, and also features related news in a twitter feed. 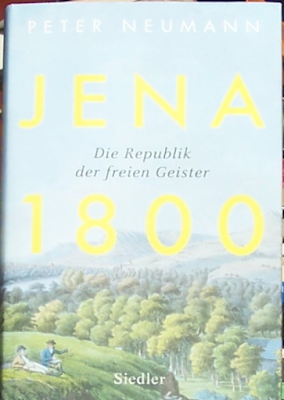 This is our review of Peter Neumann's recent book Jena 1800: Die Republik der freien Geister [Jena 1800: the Republic of free Spirits] (Sielder, 2018) on the literary and philosophical culture of German Romanticism. 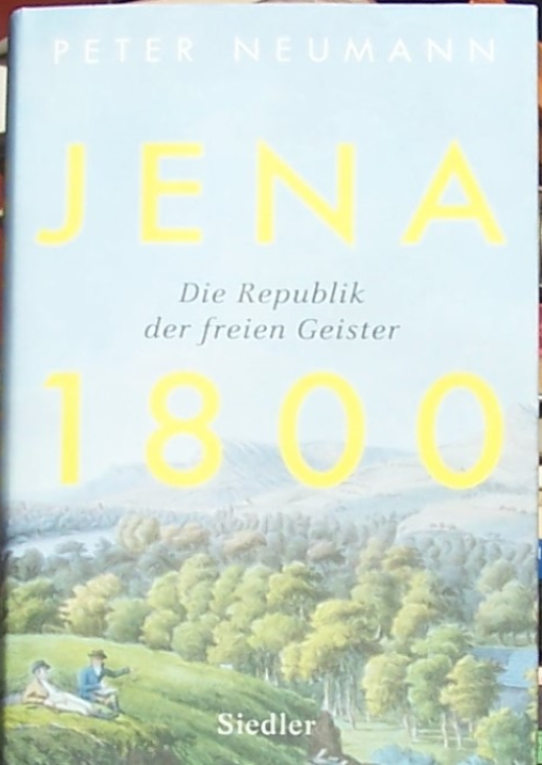 The first edition of Wahl's book on Hegel. 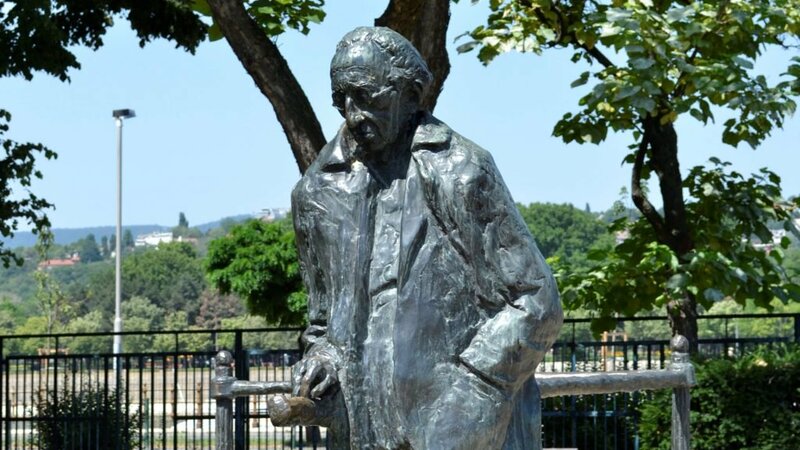 This is the first of two posts on French Hegel-scholar Jean Wahl's work on Hegel in which he presents religion as more influential than political or economic struggle in Hegel's account of the development of self-conscious life. This post considers the theological implications of apparent purpose in nature in the light of Hegel-scholar György Lukacs’ analysis of teleology and the human labour process. 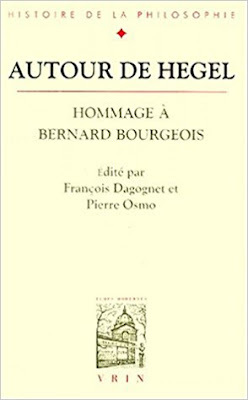 The following notes are from an article by Marie-Jeanne Konigson-Montain, «Dilthey lecteur de Hegel» [Dilthey reader of Hegel], in the collection Autour de Hegel, hommage à Bernard Bourgeois (2000) on the influence of Hegel on changes in Dilthey's last writings that gave a greater role in mental life to a reason informed by historical knowledge. Statue of György Lukács by Imre Varga in Budapest. 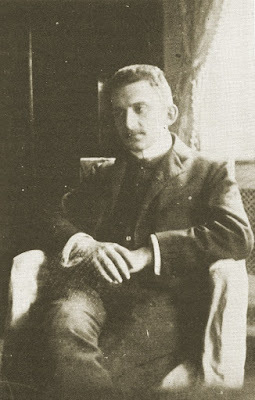 This post considers Hungarian critic György Lukács’ (1885-1971) reading of Wilhelm Dilthey on Hegel’s Frankfurt period. Lukács’ trenchant materialist analysis of Hegel is at odds with Dilthey’s predominantly religious interpretation, so his concessions to it are worth considering. Wilhelm Dilthey on the content of Hegel's "objective idealism"
Dilthey's Life of Schleiermacher (1870). 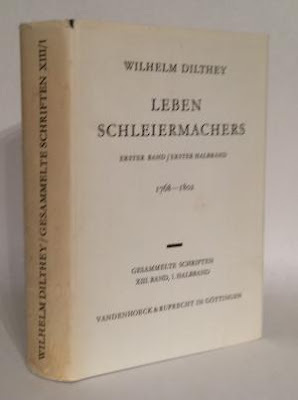 This post is a summary with extensive direct citations of Wilhelm Dilthey's interpretation of Hegel's religious views in his Frankfurt period, which Dilthey regarded as decisive for Hegel's later development. 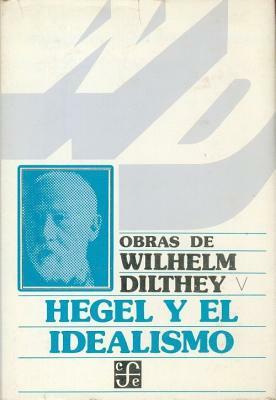 Wilhelm Dilthey on the origins of Hegel's "objective idealism"
Spanish edition of Wilhelm Dilthey's Works. This blog summarizes Wilhelm Dilthey's account of the origins of the "objective idealist" or "mystical pantheist" views that he attributes to Hegel from around 1796. It includes discussion of the concept of "life" as the context of ratiocination. This sheds light on Hegel's early move from a reductive view of religion to the more empathetic account of Christian life in his published works. Portrait by Jakob Schlesinger (1792–1855) in Nationalgalerie, Berlin. Buy our pathbreaking work of philosophical biography here. Quotes from Nisargadatta's "I Am That"
Hegel Q&A and Discussion Session Coming Up Tomorrow! 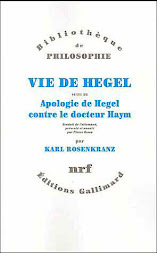 The Calvinist Karl Rosenkranz's 'Life of Hegel' (1844) was the first biography of Hegel from which all later writers draw extensively. 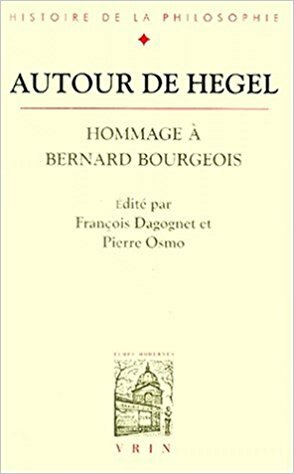 Above is a link to the translation by Pierre Osmo discussed on this blog. Conceptual artwork by Joseph Kosuth on Stuttgart Hauptbahnhof: "dass diese Furcht zu irren schon der Irrtum selbst ist" (that this fear of erring is itself already in error, from the Phenomenology of Spirit). 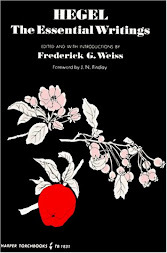 This selection from Hegel's writings by Frederick Weiss is an excellent introduction to Hegel's ideas, particularly the introductory excerpts from William Wallace's 1873 translation of the Encyclopaedia Logic. Hegel's grave near that of Fichte in the former Huguenot Dorotheenstädtischer and Friedrichswerder Cemetery in former East Berlin. The title page of the 1807 first edition of the Phaenomenologie des Geistes, titled "System of Science, first part" (links to googlebooks). 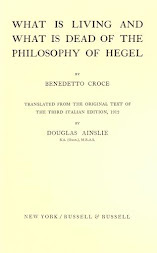 Benedetto Croce's 1907 book 'What is living and what is dead in the Philosophy of Hegel', in the maligned translation by Scottish poet Douglas Ainslie. (c) Stephen Cowley (text only). Watermark theme. Theme images by Jason Morrow. Powered by Blogger.